While two-dimensional games seem to disappear gradually from the 128-bits market, Playmore releases in 2004 an adaptation of the sublime Metal Slug 3 on the powerful Microsoft Xbox. It goes without saying that port is perfect, even featuring some small bonus games (Fat Island, Attack of the mothership) and nonexistent loading times. With Samurai Spirits Zero, also known as Samurai Shodown V under our latitudes, we're not facing here the best installment from the saga, but it's the one that Playmore has chosen to develop for Playstation 2. Again, we are offered a 128-bit adaptation identical to the Neo Geo game. However, the load times are a bit long and break the rhythm. Apart from this detail, there is not much to complain about, it's a pretty good work. 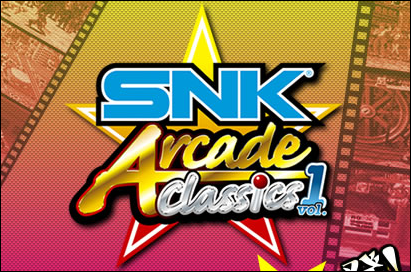 Offering a content of sixteen Neo Geo games, SNK Arcade Classics compilation (Vol1) and other retro-gaming compilations (Capcom Classics Collection, Taito's Museum, etc) are actually the major innovation concerning arcade ports on 128-bit systems. Including very popular titles like Metal Slug, Shock Troopers, The King of Fighters 94 or even Last Resort, this release is definitely a good effort made by Playmore. Concerning the quality, there's not much to complain about, except that the biggest games demanding more resources suffer some slowdowns (absent from the Neo Geo version): among others, we notice KOF 94 and Shock Troopers. There are some loading times that feel a bit long too. This compilation made good sales all around the world, which sold greatly on every media that hosted it (PSP, PS2, Wii). FYI, the Wii version of this title is slowdown-free and features load times much shorter. This is a very special release on the Wii Virtual Console, let's even say marking a milestone! This Ironclad port has led to the arrival of the game on Neo Geo AES, nothing less. Indeed, the game was only released on the Neo Geo CD in 1996: the rom of the game was finally made available for encoding at the time of this release on the Nintendo network. The Wii version is in all respects identical to the Neo Geo CD versions and even a little better, because of its fewer slowdowns during cooperative play. A compilation that looks like a dream come true! When you know the price of Metal Slug games in their original form, why not fantasize about such a compilation, which pays the luxury of offering Metal Slug 6, released on Atomiswave. There's seven games in total included in this anthology, and hours of fun in perspective. Ignition and Playmore have probably made the day of many young and less young players by releaseing this best-of Metal Slug, 100% faithful to the arcade versions. SNK's Neo Geo Pocket hosted some consistent licenses such as Kof, Samurai Spirits or Fatal Fury... but the little console only offered SD versions of legendary Neo Geo games, focusing much of its game library in fairly good casino games such as blackjack and other games of poker, or to slot machines simulations. Players had to wait for the PSP to see arcade-perfect ports, while the GBA and Game Gear also hosted a few honest adaptations. It was therefore not until the sixth generation of gaming systems, with 128-bit machines of Sega and Sony, to finally play perfect ports of Neo Geo games. The 16-bit adaptations, while looking poor compared to the original releases, had their own charm because those were looking and sometimes playing different, or packing more content like new characters to play or new game modes. It's obvious, that it's essential to be equipped with a real arcade stick to enjoy these games at their fair value on any concerned machine. Nowadays, the computers offer an attractive alternative with emulators such as Mame running Neo Geo games to perfection, provided it's running on a good machine. But the question always remains the same: does it feel the same as playing the original game..?